Building on the success of last years sold out conference, NY REV Energy Future 2017 returns and will bring together key stakeholders, technology providers, utilities and state policy makers. Among the discussion will be the REV demonstration projects and what the future of New York's renewable and distributed energy landscape looks like. Our Chief Technology Officer, Bob Currie, will be speaking at the event as part of the Urban Future Lab Presents session on the 26th September. 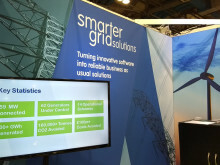 Bob is well known in the energy industry in North America, after founding Smarter Grid Solutions in the UK in 2008 and bringing its innovative software to New York in 2014. Since its formation, Smarter Grid Solutions has worked with major utilities in the United Kingdom and North America including, Western Power Distribution, SP Energy Networks, Southern California Edison, Consolidated Edison and Southern Company. ​Energy storage is a critical component to helping New York meet its Clean Energy Standard and resiliency goals. In June 2017, the New York State legislature passed a bill mandating the Public Service Commission develop a storage procurement target for 2030. While this bill currently awaits Governor Cuomo’s signature, policy is not the biggest impediment to widespread use of battery storage. In 2017 onshore wind represented 5% of New York State’s overall electric generating capacity. Governor Cuomo has called for an additional 2.4 GW of offshore wind to be developed by 2030, as part of the Clean Energy Standard. Regulators face an important decision in how to connect this power to the grid – HVDC or traditional AC?